Quartz is a man-made, engineered stone made of natural quartz and resin in a factory. 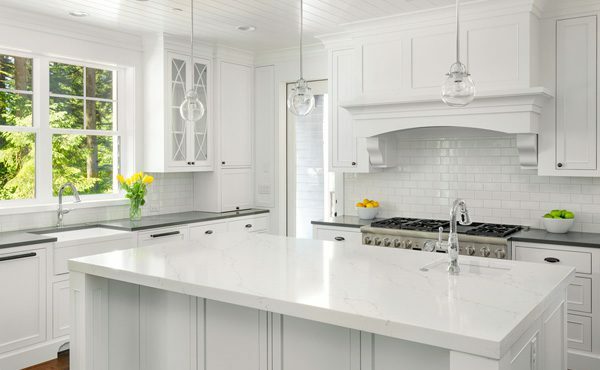 Quartz is one of the hardest substances on earth, which make them ideal for kitchens, bathrooms and high use areas. Because of the natural hardness, quartz resist staining and etching from acidic liquids. Quartz can be made into a wide variety of colors, textures, and even made to simulate the look of natural stone veins. Because it is made primarily of quartz, it offers excellent performance in demanding spaces. 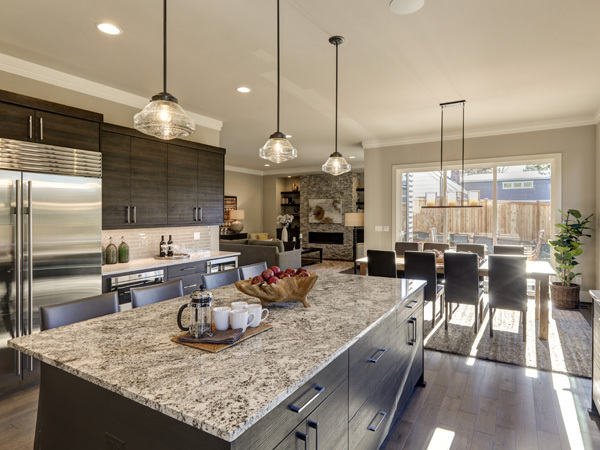 At Omega Kitchen and Bath we only use the best well-known brand names like Cambria, Caeserstone, and Silestone for quality purposes. The best thing about engineered quartz is that it offers great consistency across all slabs. Because it is made in a controlled environment, a large kitchen can enjoy a uniform appearance of countertop surfaces. Long term maintenance with engineered quartz is minimal. It doesn’t require sealing or specialized cleaners that natural materials need. Quartz is much harder than granite or marble making it more durable. That means quartz is less likely to scratch, chip, or stain for years of flawless service. Granite and marble require regular sealing and polishing. With quartz, all you need to do is wipe it down with a little warm water and mild soap. 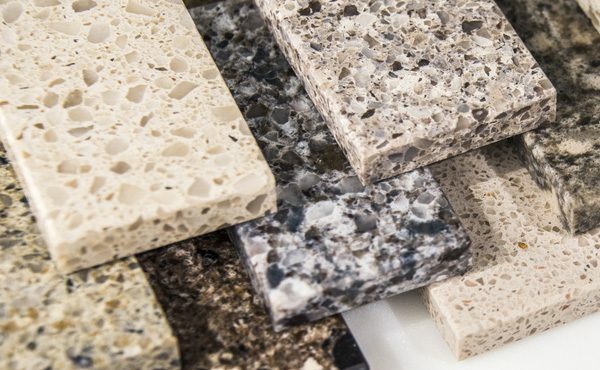 If you are looking to remodel or replace your kitchen or bath countertops with quartz, contact Omega Kitchen and Bath today to speak with one of our design specialists for your free design consultation at 407-578-8088. 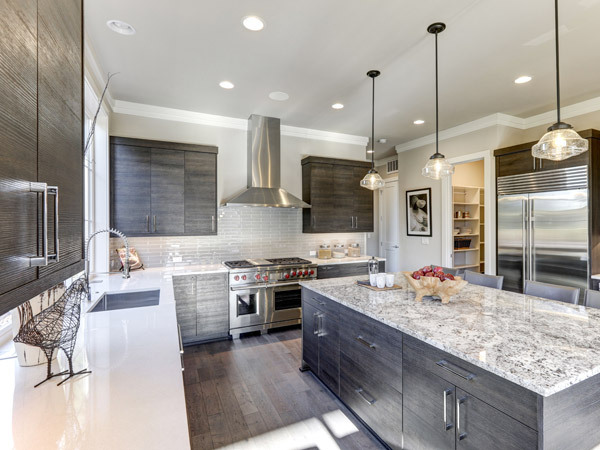 For over 30 years, Omega Kitchen and Bath has served the Greater Orlando Metro area in providing quality kitchen cabinets, bath vanities and countertops that include granite, marble and quartz. We offer hundreds of choices and full access to a variety of designs and materials to match any lifestyle or taste for any budget. Our quality and expertise will ensure that your next project will look great and last a lifetime. We offer free personalized one-on-one consultations. Call Omega Kitchen and Bath for your free design consultation today at 407-578-8088. 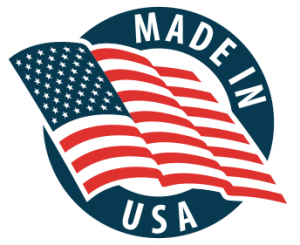 With modern technology quality materials, and our craftsmanship, Omega Kitchen & Bath will help you achieve your dream kitchen and bathroom of your dreams.